Crown or cap is a dental restoration of a tooth that has extensive damage or decayed, which cannot be restored by fillings to a functional and desired appearance state. In general, to place a new crown requires two dental visits; the first visit involves the first to the fifth step described in the next articles. The second visit includes the final step. The first step, the dentist takes an x-ray of the tooth that is a candidate for a crown. The x-ray helps identify any infection, abnormality of supporting structures and roots. 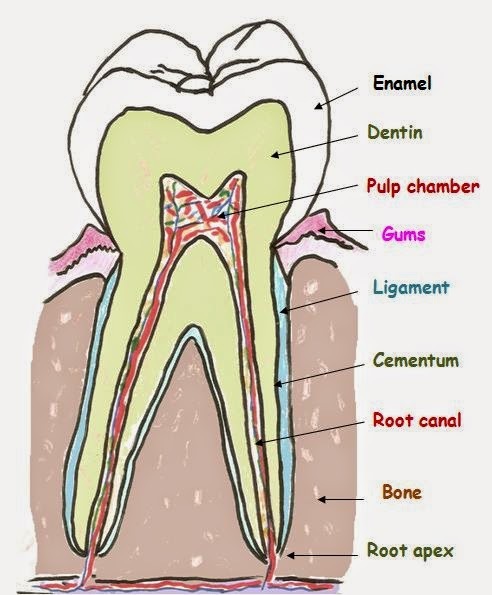 The tooth and the supporting structures must be strong and in a healthy condition prior to crown fabrication. The second step, the dentist takes an impression prior to the tooth preparation. This impression is used to make a temporary crown. The dentist will skip this step if a patient chooses Cerec crown. Cerec crown is made by using the cad/cam milling machine in the dental office. The whole process requires one to two hours. The third step, if using porcelain or resin materials, the color (shade) of a new crown is selected to the exact or closest to the color of the adjacent teeth. In metal crown, this step is not necessary. 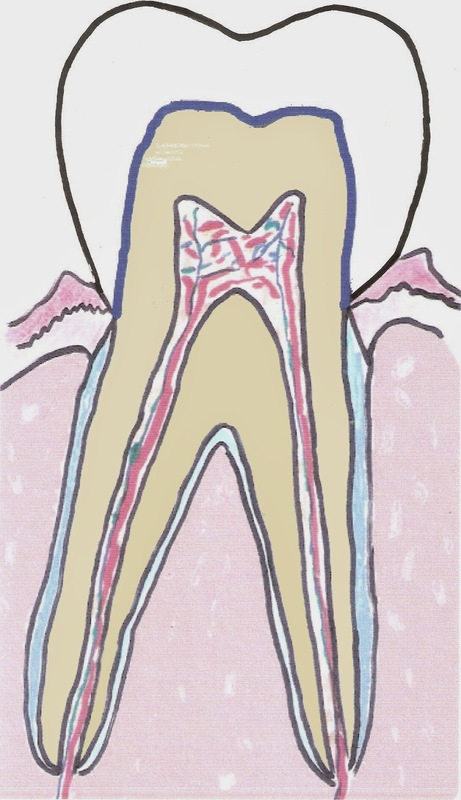 The fourth step, the dentist, anesthetizes the tooth, reduces the size of the tooth to a particular shape (see illustration - crown prep) to create space for a new crown. The amount of tooth reduction depends on the type of material used to make a crown. The Fifth step, the dentist, takes a final impression of the prepared tooth along with the opposing teeth and send to the dental laboratory. The dental laboratory technician creates a mold from the impression and uses it to fabricate a new crown. While waiting for the crown, the dentist makes a temporary crown for protecting the tooth and aesthetic purpose. The final step, the dentist, removes the temporary crown, compare the color of a new crown with the rest of the teeth and evaluate the accuracy of the fitting. Before cementation, the dentist will let the patient see the dental crown and approves the crown appearance. Any color alteration or adjustment to the crown can be achieved prior to cementation. Once the dentist and the patient accept the crown, the new crown is cemented to the prepared tooth. In the event that the patients want to have their teeth bleached, they should have bleaching completed prior to having a crown. Gold crown is a preferred choice for many clinicians for thousands of years due to its superior physical and mechanical properties (longevity, durability, functionality), and bio-compatibility. Type 1 is the softest and has the highest gold content; used for non-stress bearing areas, e.g., small inlays. Porcelain fused to metal improves aesthetic to the crown by adding tooth-colored porcelain on top of the metal substrate framework which can be high noble metal, semi-precious metal, or non-precious metal.